CamCRAG’s poncho project is in full swing, aiming to make hundreds of ponchos this summer for refugees in Europe this coming winter. 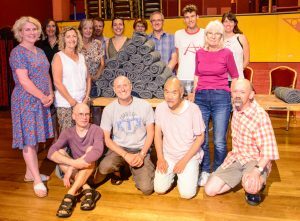 On June 30th Cambridge Buddhist Centre held a social action day, and made 29 ponchos in two and a half hours! A big thank you to them from everyone at CamCRAG. 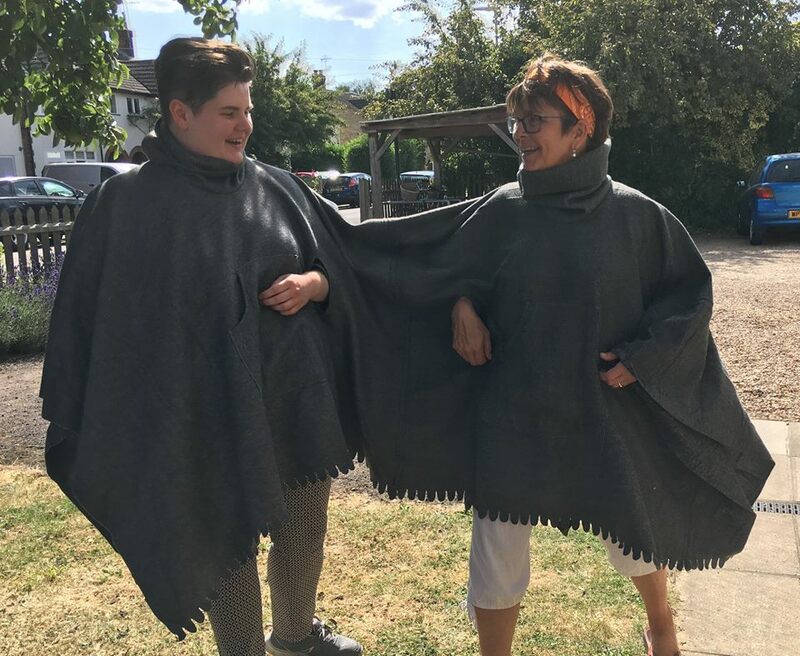 Last Saturday at one of our regular sewing sessions the team made 36 more ponchos, including this exciting one-off creation for very friendly couples – orders accepted! Our next sewing sessions are Friday 27 and Saturday 28 July.